It’s difficult (if not downright impossible) to glance at this table and draw any conclusions. For example, which day of the week experienced the most registration and login events? 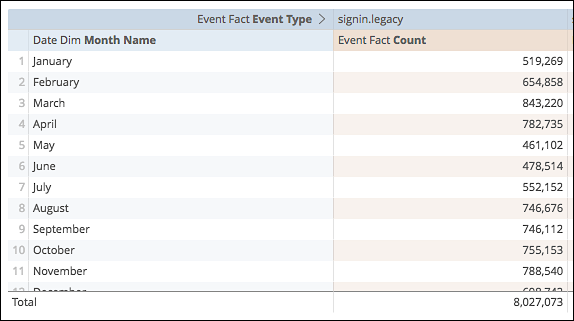 Which day of the week experienced the fewest login and registration events? Without adding up all the event totals for each day, there’s no way of knowing. 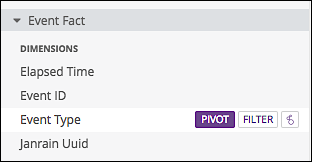 You should limit each query to a single pivot. Note. 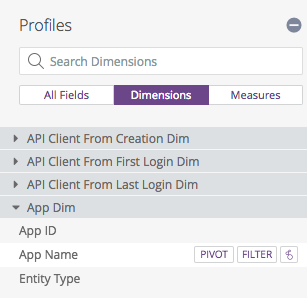 You cannot create a pie chart or a single value visualization if you query includes a pivot. However, in place of the pie chart, you can create a donut multiples visualization.